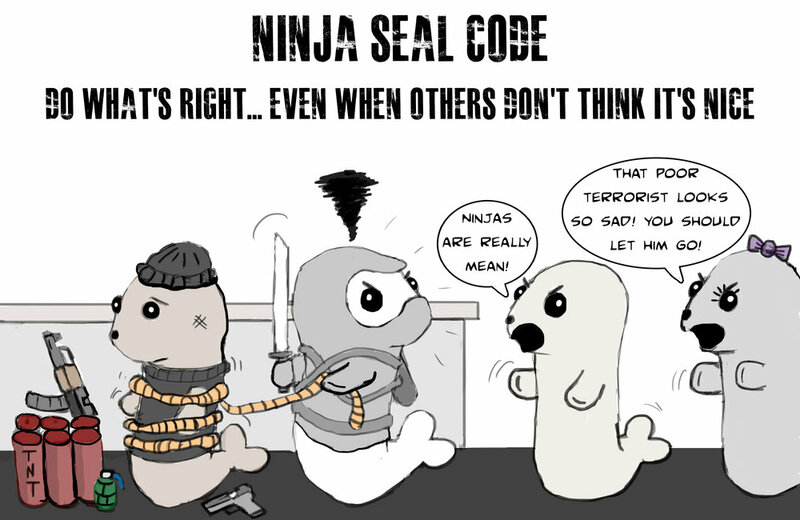 What is the ninja seal code? 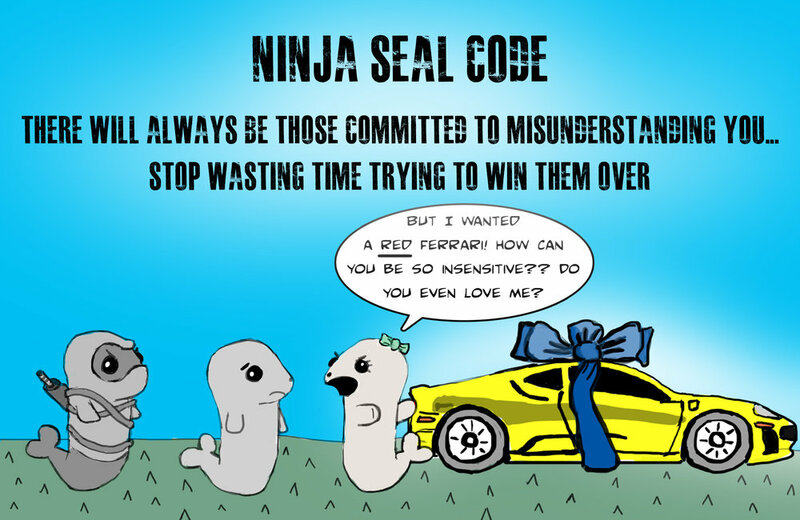 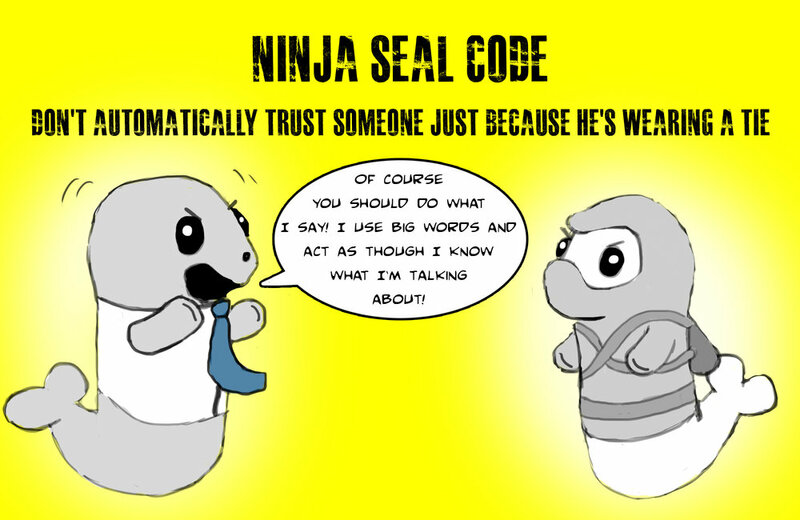 In addition to being a useful guide to improving your life, the ninja seal code will prevent you from becoming a whiny little wuss-bag. 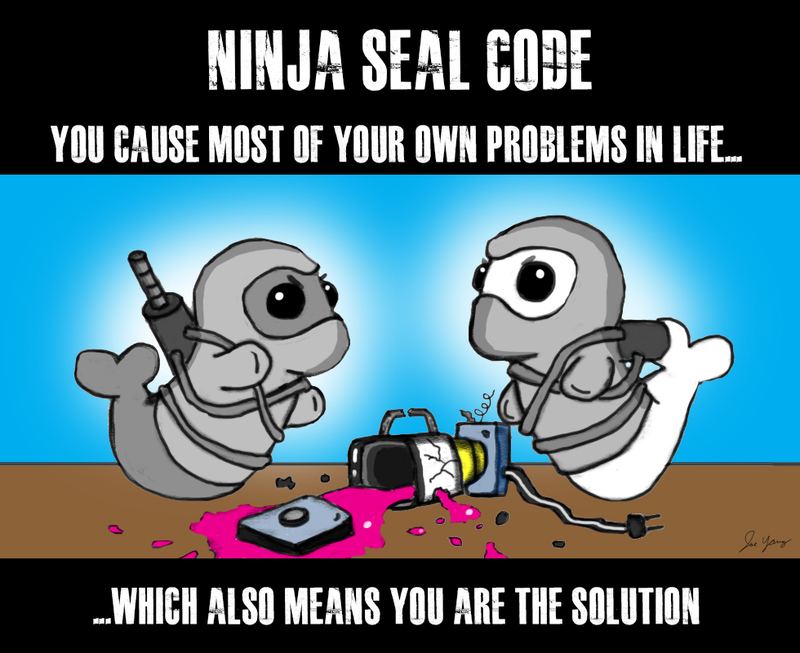 It prepares you for the harsh realities of life, and encourages you to be accountable for your own actions instead of blaming your problems on everything else. 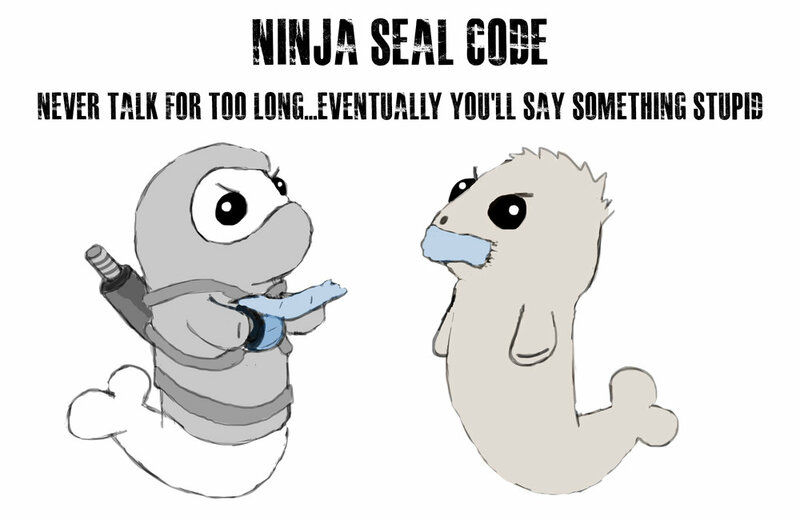 Follow the code; It is a path of wisdom, and a blatant rejection of nonsense.